Instructors can help intermediate level skiers improve their technique for more stamina and more fun on the slopes. Fred Rumford learned to ski in 1970, as a 5-year-old at the ski school in Vail, Colorado. After racing on his high school and college teams, Rumford began teaching at Vail in 1987. Today he is the resort’s director of skier services, overseeing its ski school and working to spread best practices among instructors at Vail’s 15 resorts. He explained how to get the most out of lessons. Why should someone who already skis well consider ski school? We see a lot of intermediates who are fairly proficient on a groomed, smooth surface. But what works on groomed terrain doesn’t work well on bumps, in powder, or when the sun starts to affect the snow. Lessons can help with that. Instructors can also help people ski more efficiently, with less fatigue. That can help them enjoy more skiing in a day or stay in the sport at older ages. Is it more difficult to teach intermediates? It can be, because the changes they’re going to see are more subtle. We may be working on hand position, or how they balance on one foot or two feet, or some simple tips to adjust their ankle flexion. It’s not like beginners, who often see huge progress — they may go from flopping on the ground to beginning to get down the slope in just one lesson. For intermediates who take a lesson, it may take a whole season of practice to make a substantial difference. For the student, what’s the best balance between touring and drills? 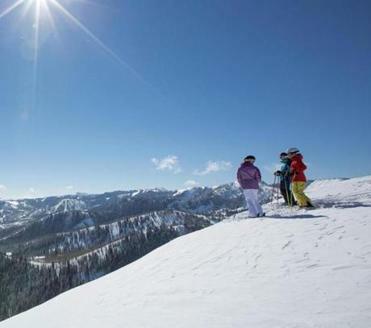 On a three-generation Utah vacation, skiers aged 8 to 73 find high-end fun in Park City and a welcome surprise at Deer Valley. We want people to have an enjoyable experience. There is a little bit of stigma that ski school is only technical drills, and people worry it can feel a little militaristic. If you want drills and exercises, our instructors can do that. But having an instructor lead a tour of the mountain — taking skiers to unfamiliar areas, to find the best snow, and offering tips along the way — can be really useful, especially on very large mountains such as Vail. Big resorts can be intimidating: People are concerned they may get lost or wind up in terrain they’re not comfortable with. We often see guests without an instructor stay on one lift or one trail all day. 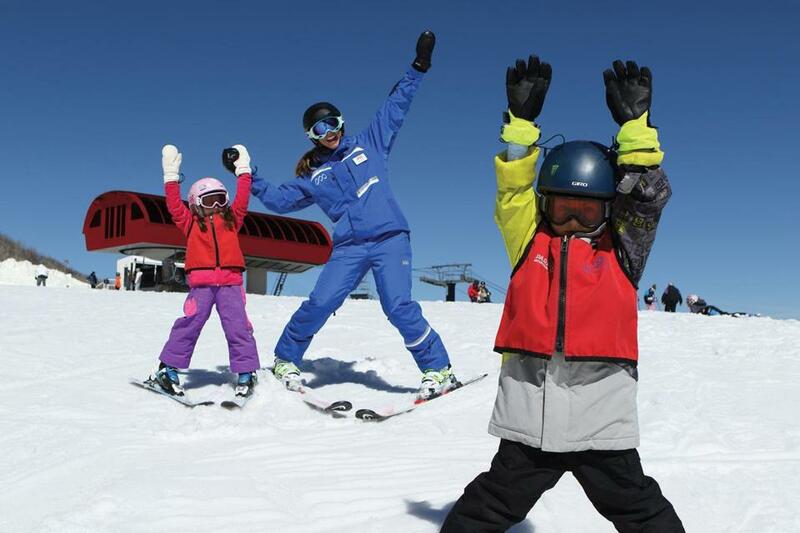 An instructor can help guests experience more of the mountain. Communication is so important. Instructors can’t read your mind to know what you want out of the lesson, so tell them. Check in during lift rides to make sure they’re meeting expectations. In group lessons, be aware that holiday weeks can get crowded, and inevitably any group is going to be limited by the skill and endurance of the weakest skier. And if you’re going to take a half-day lesson, take it in the morning. People are fresher, the conditions are better, and there’s less traffic on the mountain. Daniel McGinn is a senior editor at Harvard Business Review. Send comments to magazine@globe.com. Follow us on Twitter @BostonGlobeMag.